The selection order isn't important. For example, if you have to select a face and some vertices, you can select a few vertices, the face, and after some other vertices. You can use a popup menuor a panel. When you change the interface style, you must relaunch the script for the change to take place. 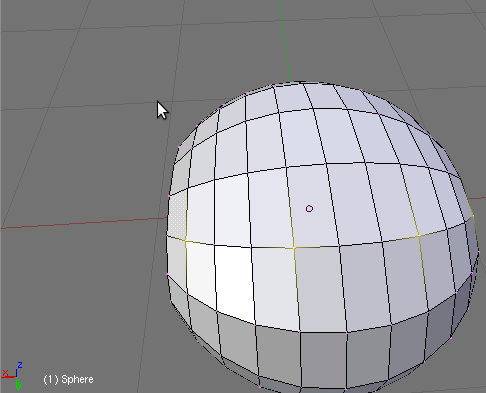 Select one face and some vertices, to project the vertices on this face. 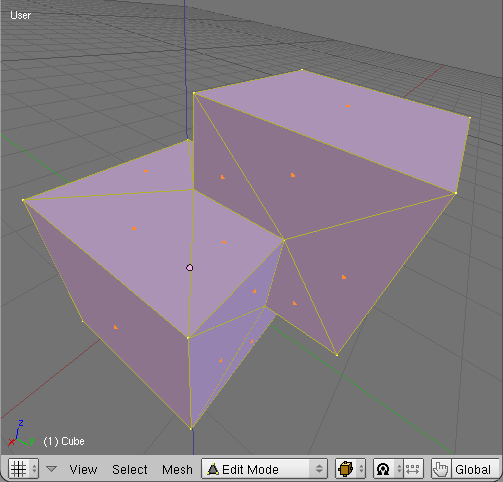 copy: vertices aren't modified : they are duplicated, and the clones are projected. 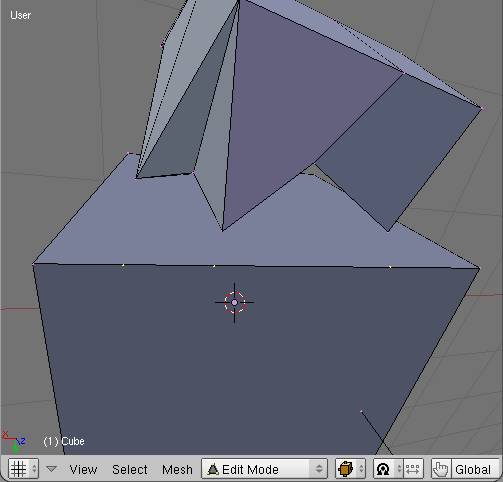 Select one edge and some vertices, to project the vertices on this edge. 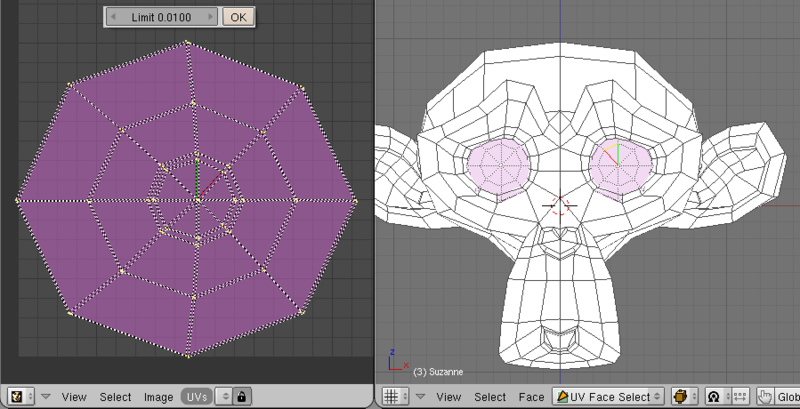 Select one face and some edges, to intersect the face with the edges. 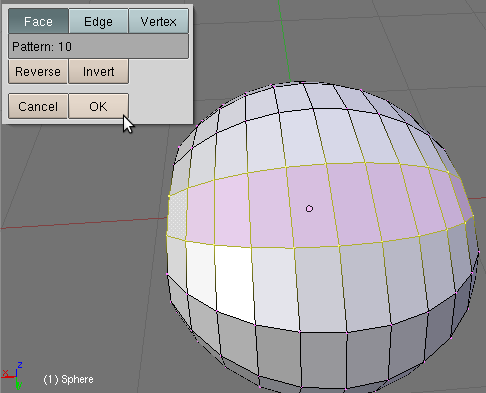 normal: the edges aren't modified ; new vertices are created at the intersection points. 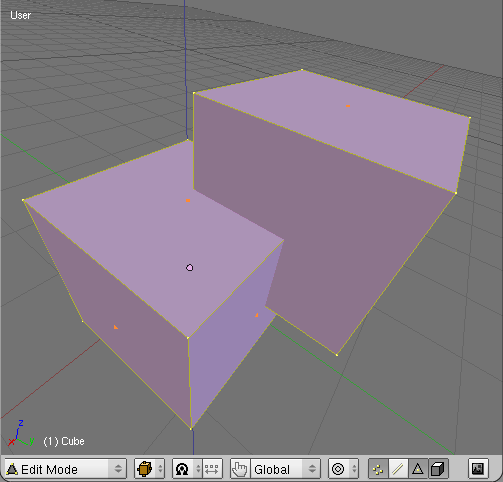 cut: the edges are modified (if there is an intersection, of course) ; they are cut in two by new vertices. 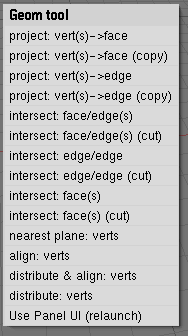 With the cut version, if a cut edge belongs to a face, this face is deleted. If it's not what you want, you can use the normal version on the intersection, or the face/face intersection. 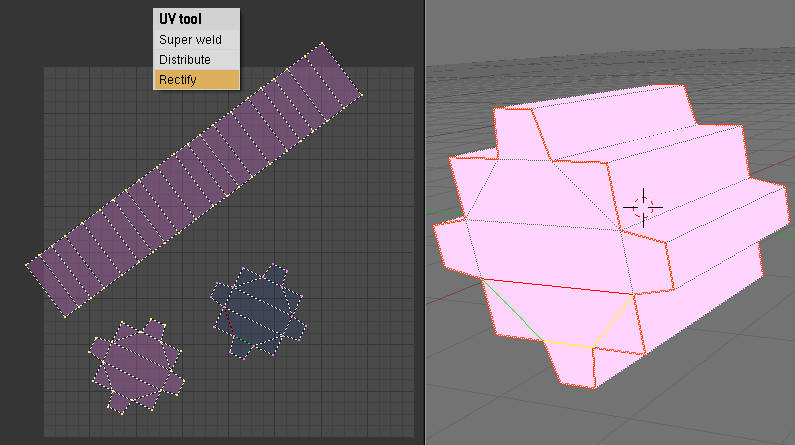 Select 2 edges, to intersect them. 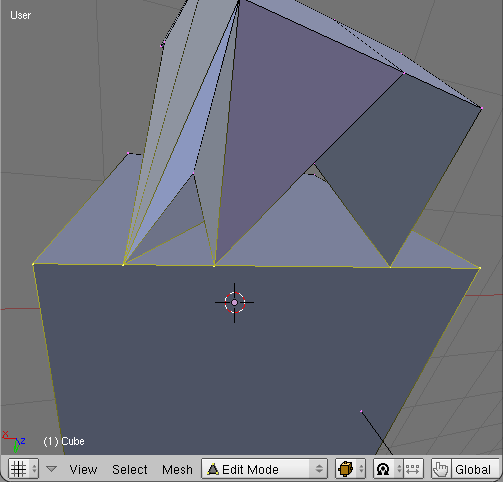 Notice that even if the 2 edges don't intersect, 2 new vertices are created. They represent the place where the edges are the closest to one another. 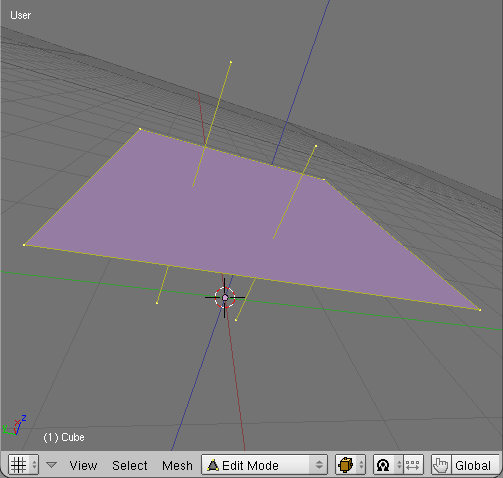 If there is an intersection, there is only one new vertex. 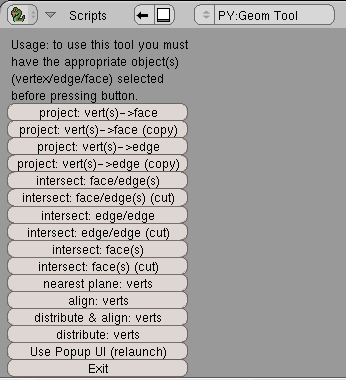 Select some faces, to intersect them. 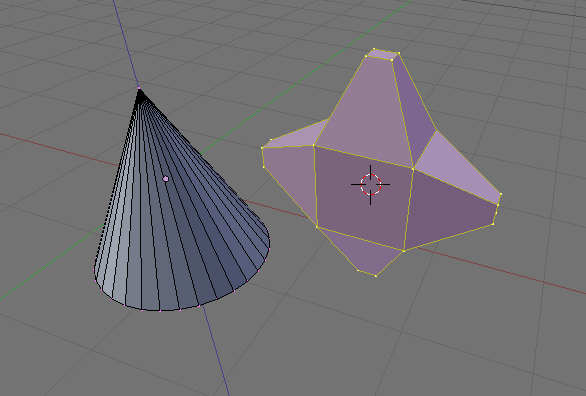 normal: the faces aren't modified ; new edges are created to represent the lines of intersection. 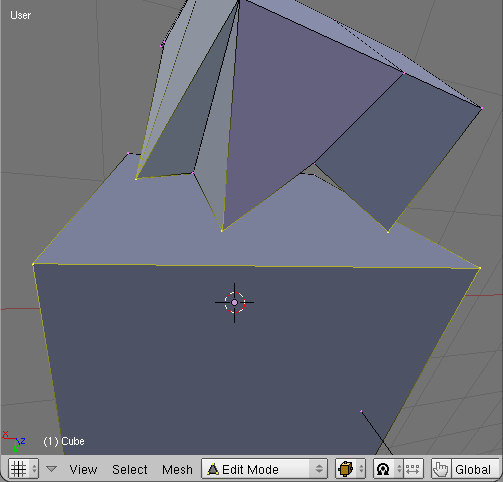 cut: the faces are modified (if there is an intersection, of course). Notice that it doesn't intend to be better than the boolean tool of Blender. 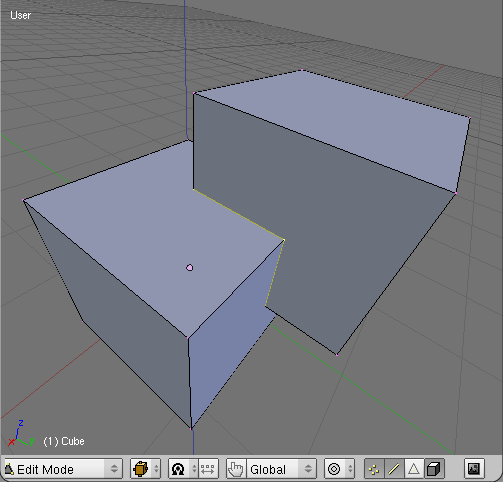 But it could be useful because it doesn't need to separate an object in 2 closed objects. Select some vertices, to project them on the nearest plane. Notice that it works directly with vertices : they don't need to belong to faces. The problem is that it makes this function slow. 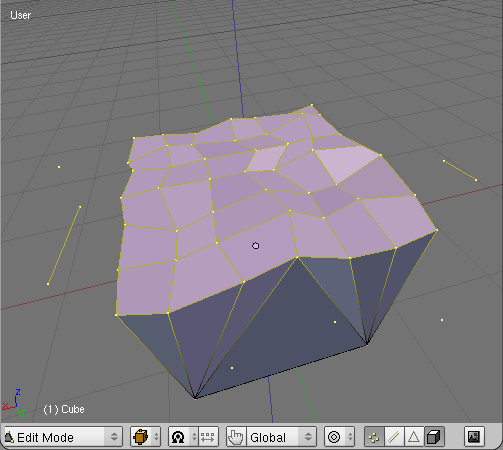 Select some vertices, to align them and/or distribute them regularly. align: vertices are aligned between the 2 extremities. 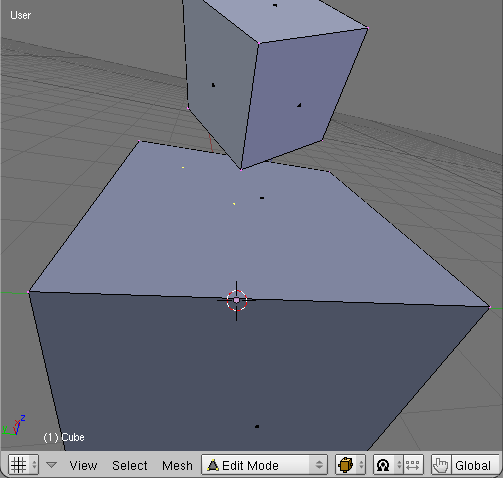 align and distribute: vertices are aligned and distributed regularly between the 2 extremities. 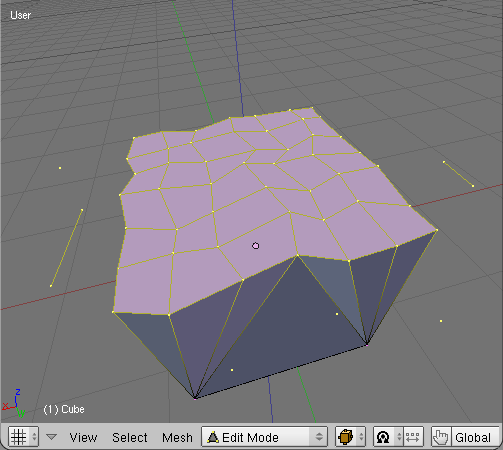 distribute: vertices are distributed more regularly, and the shape is kept as much as possible. 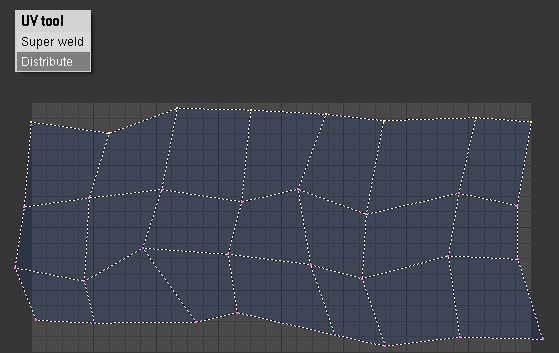 For the 'align' and 'align and distribute' functions, vertices don't have to be connected, but they must be roughly aligned (or the result won't be what you want). 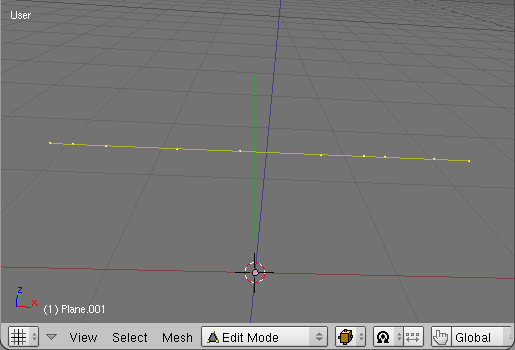 For the 'distribute' function, vertices must form an edge string or an edge loop. When you run Mesh copy/paste, a menu appears. 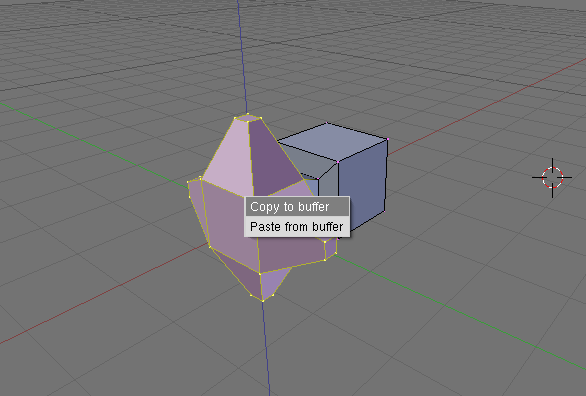 You can copy the selected part of your mesh in the buffer, or paste the buffer in your mesh. 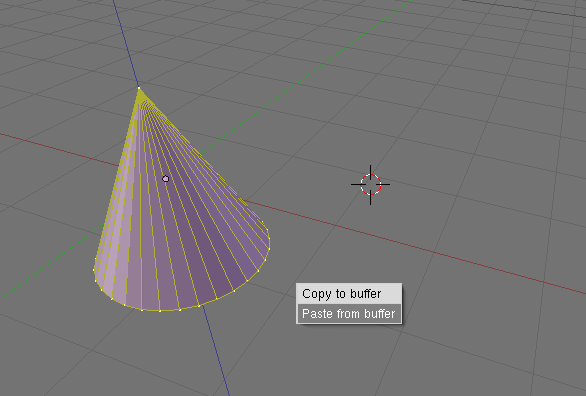 Notice that the buffer is shared by all your Blender instances, so you can copy a mesh in a Blender window, and paste it in another. 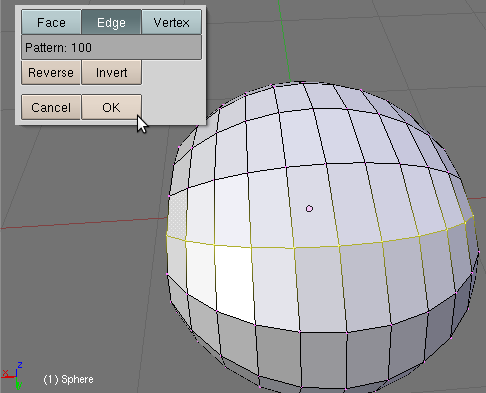 Some functions that can help you when you work with UV maps. 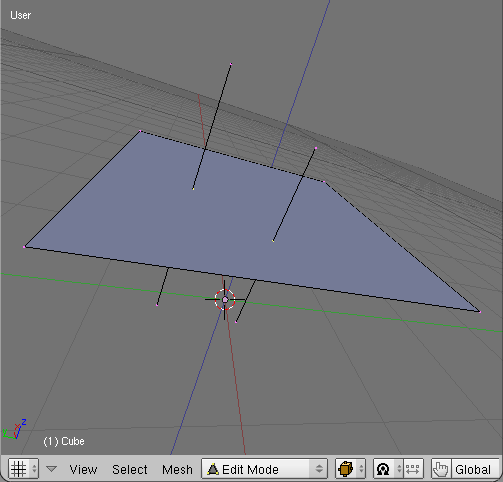 It looks like 'remove doubles', but for UV coordinates : it finds UV coordinates which are close, and welds together. 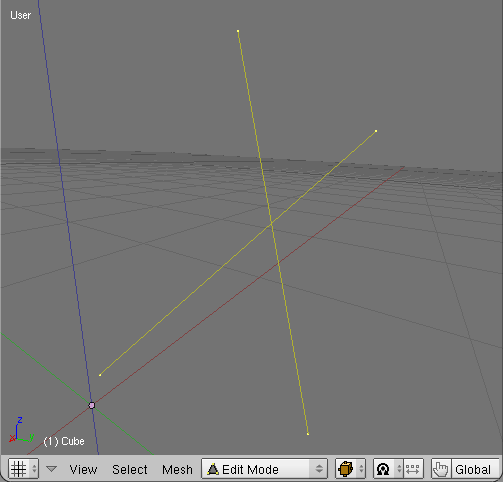 It distributes regularly selected UV coordinates (they must be roughly aligned). It rotates UV groups in order to have vertical and horizontal edges. 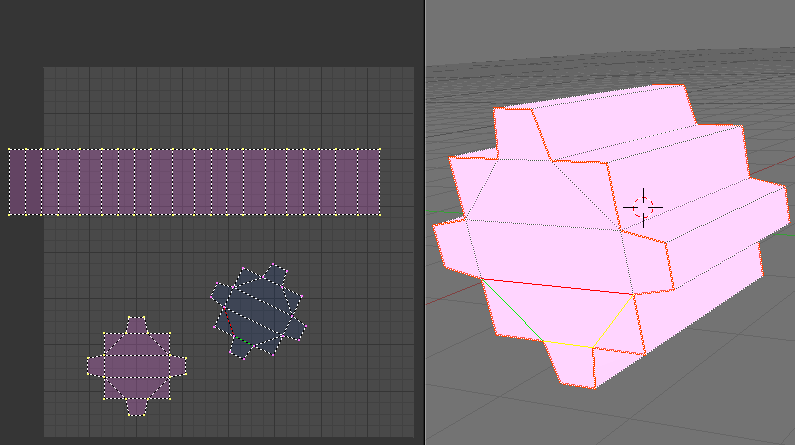 Select a ribbon (it can be a loop). When you launch the script, a menu appears. 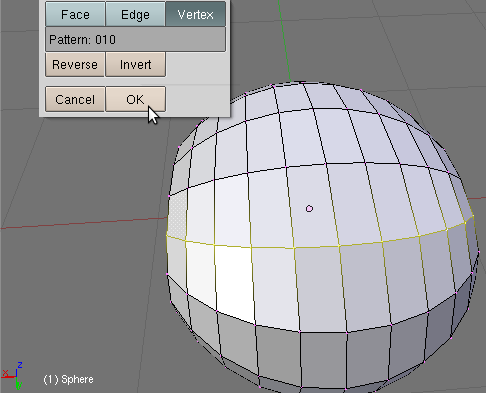 First select if you want to select faces, edges or vertices. 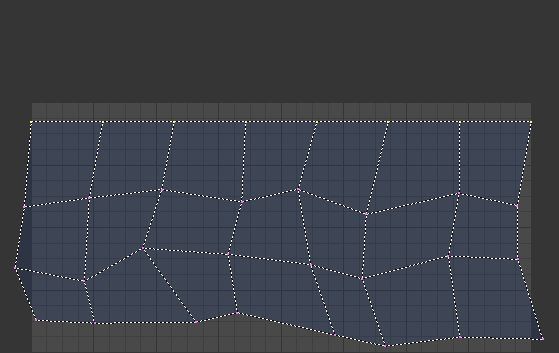 enter the pattern. The pattern should only contain '0' and '1'. '1' means 'selected', '0' means non-selected. Reverse button : reverses the order of the pattern. Example : '100' becomes '001'. Invert button : 1 becomes 0, 0 becomes 1. Example: '100' becomes '011'.